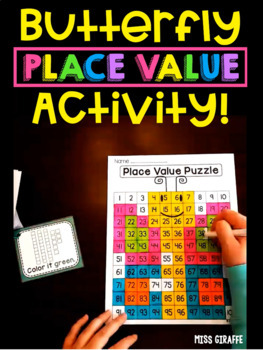 Place value butterfly puzzle math station where students use 86 mini task cards to identify and color numbers on a 100 chart that are represented by base 10 blocks. A fantastic way to get students to practice identifying the base 10 representation of dozens of numbers in one sitting in a fun way! 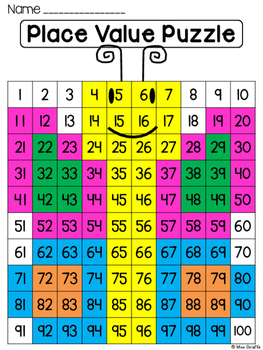 It can also be a number sense puzzle if you use just the straightforward number cards instead of the base 10 block cards. 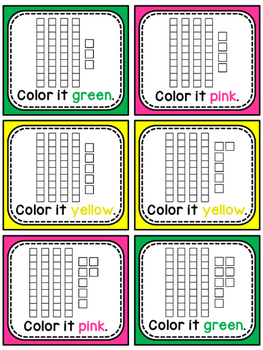 When they're all done, their hundreds chart will reveal a colorful butterfly! 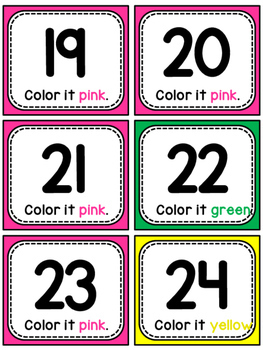 ADDED 11-20-15: I added a basic numbers version for lower students or for an additional number sense activity where each card has the number written on it instead of place value blocks. ADDED 4-19-16: I also added student friendly directions to make this center more independent.